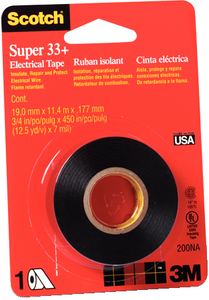 A vinyl plastic electrical tape. An extremely conformable 7 mil. high performance tape that resists water, oils, acids and weather. Has insulation properties of both rubber and friction tapes. U.L. approved.